Do you tear up at the thought of the Crying Tiger? Or are you as brazen as they come and bite into a Carolina Reaper without batting an eyelid? It’s time to put your taste buds to the test at the hottest foodie festival on the Sunshine Coast, as Olivia Sainsbury serves up the annual Hot 91 Ignite Chilli Festival. Spot the bright green bird’s eye chillies as soon as the plate hits the table, and immediately clam up – how am I going to get through this dish without my mouth catching on fire? When it comes to chillies, the first word that comes to my mind is HOT, but as Olivia Sainsbury reminds me, it doesn’t always have to be that way. 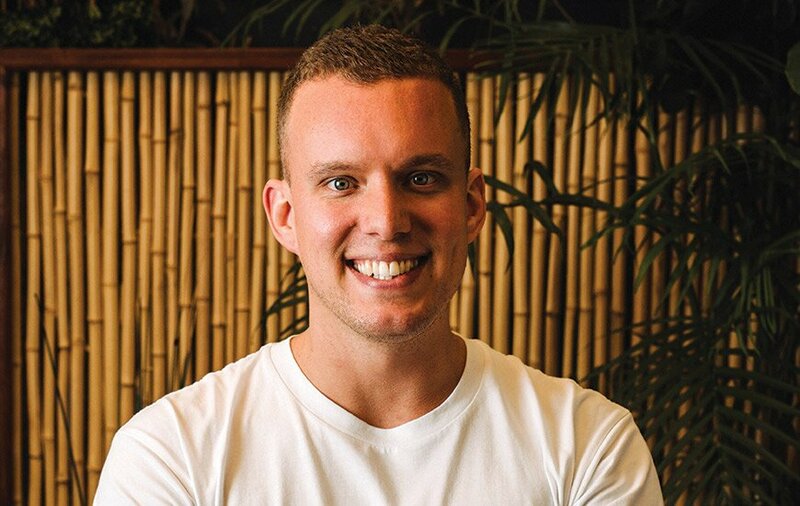 As CEO of the Caloundra Chamber of Commerce, who run the annual Hot 91.1 Ignite Chilli Festival in November, Olivia tells me – you don’t have to love chilli to come to the festival. “We will have a lot of other food, and there will be things like chilli chocolate ice cream, so it’s not going to be hot hot hot, it’s just a take on the chilli,” she says, allaying my fears. The self-confessed foodie says she loves cooking, although admits it’s more of a skill her husband holds, and revels in trying new things; which at one point included chillies. “I love food, I love trying to cook new things and getting out and eating, we have a lot of food shows on television, so you can get quite absorbed in the food space,” she says. The Chilli Festival was introduced last year, complementing the Chamber’s existing calendar of events including the Sunday Markets in Bulcock Street and Twilight Markets along Bulcock Beach every school holidays, they also operate Caloundra Tourism and therefore have a strong business/tourism focus in all that they do. Originally from Canberra, Olivia has spent her career as a management consultant, predominantly working with the Federal Government on policy design and implementation. 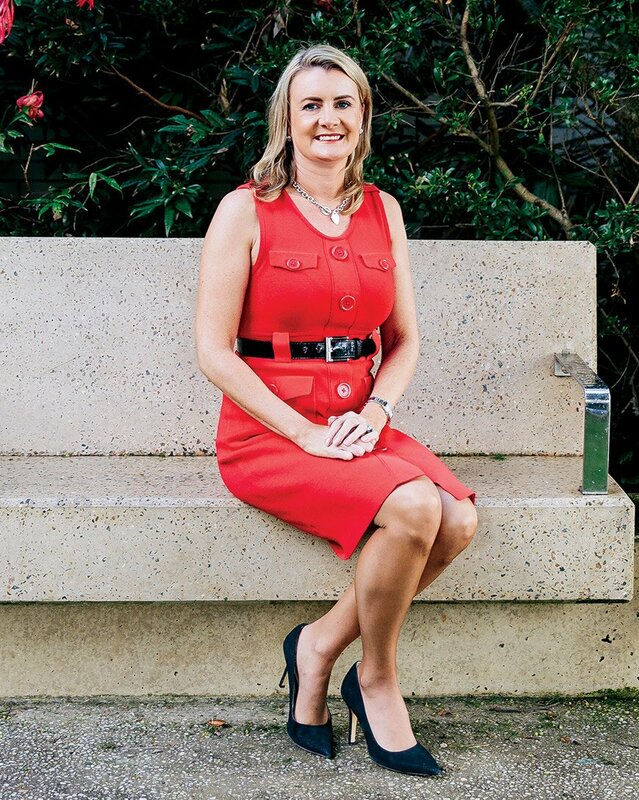 This, she says, has given her a broad set of skills she can now apply to her role with the Chamber, and the fact she has always run her own business, is passionate about helping startups and small businesses thrive on the Coast. This year, the Chilli Festival will be held on Saturday, 17 November, and is a community event run in the main street of Caloundra from 9am to 6pm. 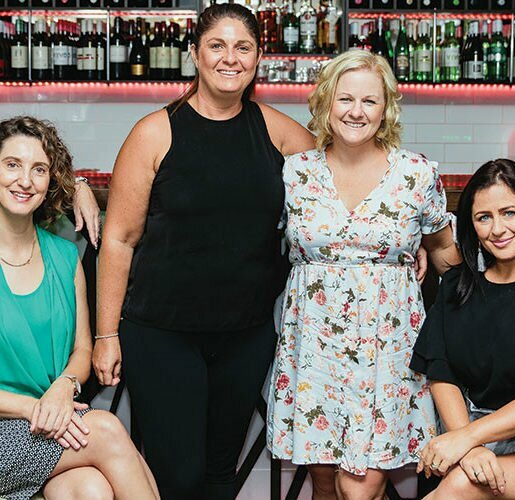 “It is about having a festival for the community, and having an attraction for tourists in what would otherwise be quite a low season for the tourism industry in Caloundra,” says Olivia. “It’s something new, we haven’t had a chilli festival on the Sunshine Coast before, everybody loves food, food festivals are always great; a twist of chilli makes our festival that little bit different and allows us to showcase all of the amazing local produce, food and agribusinesses on the Sunshine Coast as well as our many talented local chefs,” says Olivia. Local celebrity chef, Matt Sinclair, who is arguably one of the most successful MasterChef alumni in its 10 seasons, has come on board with this year’s event, which includes cooking demonstrations, chilli-eating competitions, food stalls and entertainment. “Everywhere, food is a big industry, wherever you go into a shopping mall there is always a food court and people go towards food, and in all cultures, putting food on the table is what brings people together, that’s why having a food festival will attract a lot of people so we are expecting a great crowd,” she says. It has been forecast that the event will attract 10,000 people, double the attendees of last year’s event, and the Chamber is working with local accommodation providers to tailor packages and entice people to extend their stay on the Sunshine Coast. With the town of Goomeri making a national name for its annual pumpkin festival, Olivia hopes Caloundra will experience the same fate, afterall, Bulcock Street has its own chilli guru, Vicki Taylor, who owns spice emporium and cooking school Red Hot Chilli Pepper and was integral in the the creation of the inaugural event. “Chilli is gaining momentum worldwide and Aussies are really only starting their own obsessions with chilli, whether it be through influences from travel or cooking programs,” she says. By comparison, jalapeños have a SHU rating of 2500-8000 and bird’s eye chillies have a rating of 50,000-100,000 SHU. SHU is an abbreviation of Scoville Heat Unit, aka, a measure of spiciness. “Do you have any chillies?” I ask Matt Sinclair, who laughs and walks off the set of our cover shoot and into the kitchen at Sum Yung Guys. He reappears with an abundance of little devils in all shades of red and green, there are fresh varieties which will bite your head off and long, dried chillies, which I learn bring a lingering warmth to the palate. 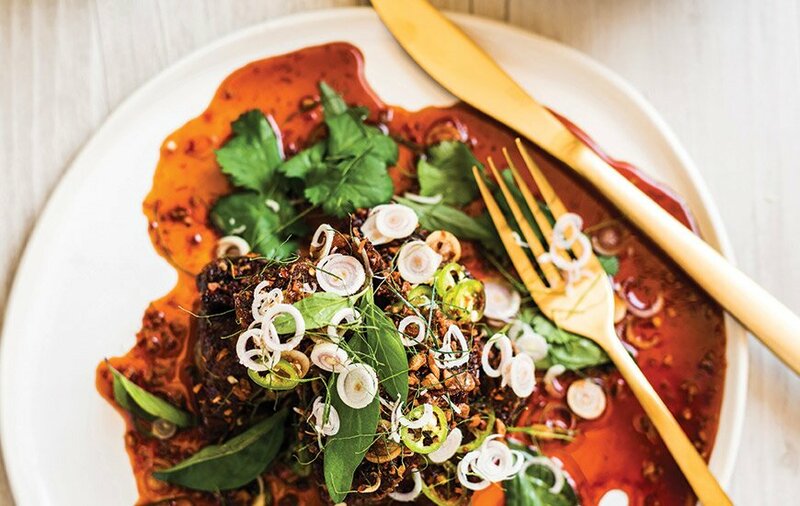 “I love cooking with chillies for the obvious reason; the personality it brings to the dish,” says Matt, introducing me to the newest item on their menu, the Crying Tiger. “I love working with the long dried chillies and the green bird’s eyes, they’re my two favourites. I love what’s happening with that dish at the moment. You get the fresh upfront instant heat from the bird’s eye but more of a lingering warmth from the dried chillies, it balances each other out. Matt says chillies are a very personal ingredient; everyone has a different threshold and willingness when it comes to heat. 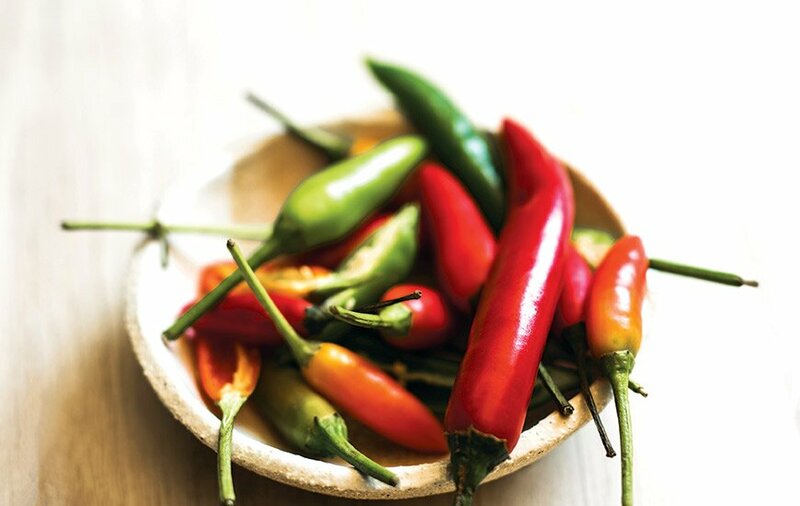 For this cover shoot, Matt was given a brief to hero the chilli, and the two dishes he produced were prime examples in the different roles chillies can play on the palate. “The chicken larb originated in Laos but is quite well known as a Thai-style dish. 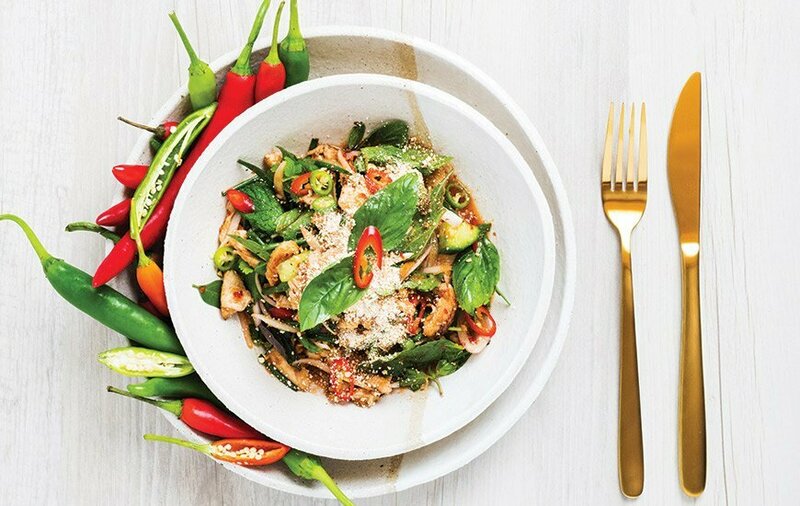 A lot are made with chicken mince but we use poached chicken breast and it has quite a punchy dressing using the dry chillies, fresh bird’s eyes, and fresh lime and garlic, so it’s quite an intense instant hit from the sauce and then we add cashews, shallots and fresh herbs,” he says. 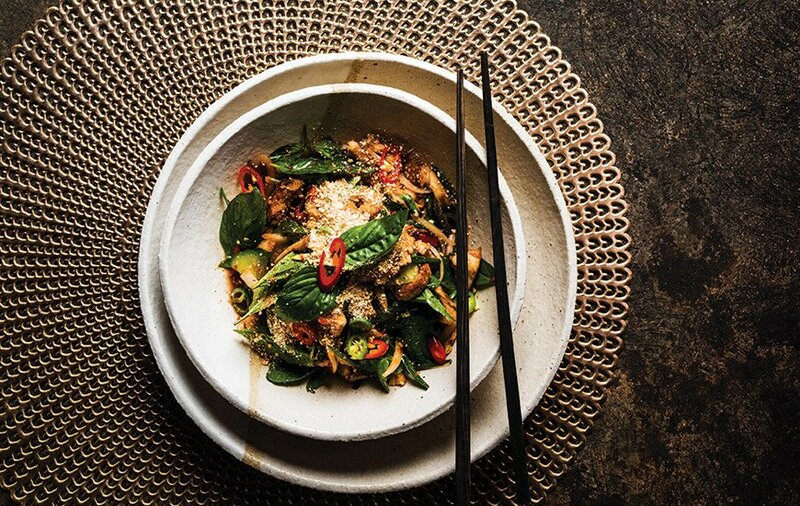 On the back of 18 successful months of business, in February, Matt and the boys are heading to Thailand, Vietnam and Malaysia to reconnect with their Asian-inspired culinary roots. 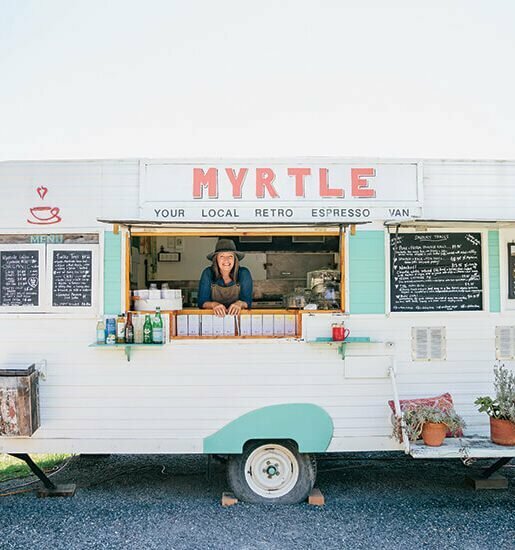 “We need to check out what’s going on, it’ll be good to step out of here and go and get some fresh ideas and we’ll be writing menu ideas while we’re over there, and when we come back will be ready to start rolling them out,” says Matt. “A lot of the time I’ll be fixated on a dish and will like a couple of elements but as whole it won’t work together. With the fried garlic on top, I did that for a pork dish six months ago, and when you’re making things you log them all and when I was making the Crying Tiger I remembered the fried garlic and put that over the top. “Things don’t just happen and work, there are a lot of failures and the reason for that is we’re so pedantic about what we do now and if we’re going to be replacing something that people love, we’re not going to replace it until we all wholeheartedly agree that it’s as good, if not better. Place all masterstock ingredients in a large saucepan, bring to the boil to infuse. Place short rib in a deep roasting tray and pour in masterstock. Add water if necessary to ensure short rib is submerged. Cover tightly with aluminum foil and braise in the oven at 160ºC for 3.5 hours. Once braised, remove from roasting tray, slide out rib bones, place on a plate and refrigerate until firm (overnight). Once firm, like butter, cut into 1 inch cubes. Dust the beef with rice flour and deep fry at 180ºC for 2-3 minutes until crispy. Place caster sugar in a medium saucepan over a medium heat. Continue to melt sugar until it turns into a dark amber caramel. Use 1/2 cup water to break the caramel once the desired colour is reached. Add chillies, fish sauce, vinegar and tamarind. Use a stick blender to combine everything and break down the chillies to release the deep red colour into the glaze. Simmer the glaze until it coats a spoon and has taken on the colour from the dried chillies.